Dates for the 2020 Immersion Coming Soon! 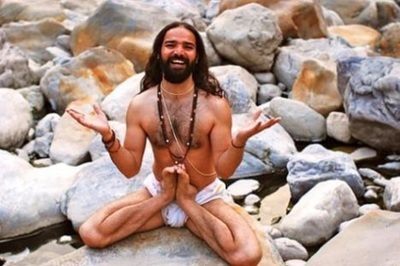 ​living and teaching the ancient system of yoga. ​The Sacred Heart Yoga: Yoga Foundations and Teacher Training Immersion is a transformative month-long course designed to establish a thorough foundation in all the essential elements of living and teaching the ancient system of yoga. The underlying theme of the training will be to connect with the heart and rediscover the sacredness within ourselves, each other, and the world. 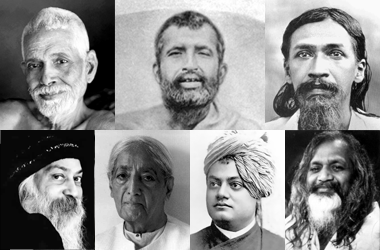 It is almost impossible to sum up the breadth of wisdom and experience that one acquires in a month-long yoga training immersion; not only pouring from the teachers and the eternal well of yoga teachings themselves, but from the innate wisdom held in each participant and from the organic unfolding of group wisdom as well. This is a brief attempt to highlight the main points, themes and feeling of the Sacred Heart Yoga training. Please take the time to read, consider and reflect. We understand that choosing a training is a big decision, and we encourage each person to find the training that is right for them. Our Sadhana (practice) is the source of our liberation; the training ground for the arena of life. A considerable portion of the training is dedicated to the understanding and development of our daily personal yoga practice; our Sadhana. Practice is the source of direct experience - living wisdom, and the foundation for lasting positive transformation; therefore it is the main focus of our training. 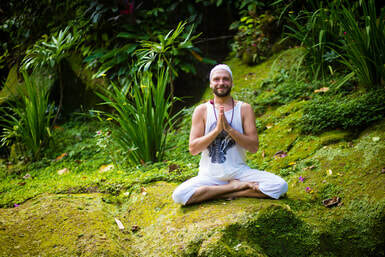 We will build a solid foundation in: Asana (traditional yoga postures), Kriya (physical and energetic purification techniques), Pranayama (breathing techniques), Mantra (sacred sound recitation), Meditation, and Kirtan (Sacred, heart-opening, group chanting). All these techniques work together in a systematic way to bring overall health, harmony and happiness to mind, body and spirit. With continuous and dedicated practice we receive the initial physical and mental benefits of yoga. Once the benefits are experienced, faith and confidence in ourselves and the practice becomes established. This confidence and faith serves as the inspiration for life-long continuous practice, which allows the yoga to integrate over time, into subtler and subtler levels of our being. In time there is no separation between the yoga on our mat, and the yoga of life, between the philosophies and the actions…..it is all yoga; one integrated, harmonious life. 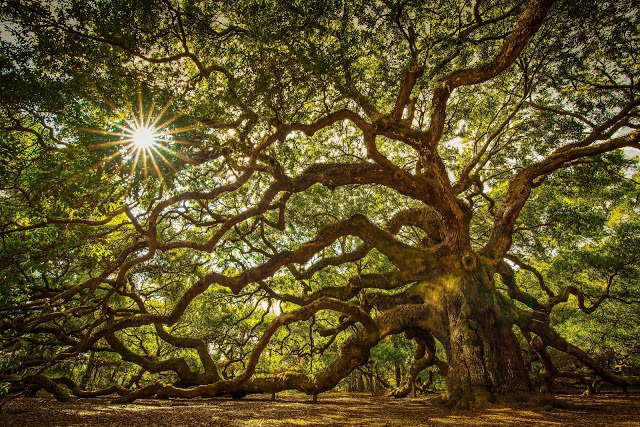 A strong foundation is the root system which allows the great tree of yoga and its fruits to grow over time. Accompanying the development of our experience on the mat will be the deepening and integration of our knowledge of yoga philosophy and ethics, with the study of essential sacred texts, philosophical discussions and practicing mindful compassionate conduct. Our thoughts are the seeds of all of our actions. 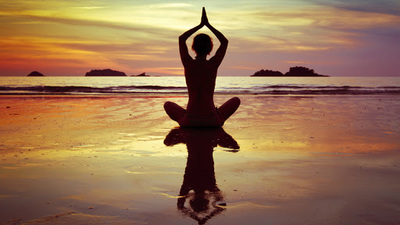 Our yoga practice has the potential to be the grounds for conscious positive shifts in our mental/emotional patterns. We practice being compassionate and lighthearted with ourselves when we fall out of a pose, feel discomfort in our bodies, or when we catch ourselves engaged in negative internal dialogue; over time that compassion spreads to all aspects of our lives. At least for the duration of the course, we ask that students follow the principles of Ahimsa (non-violence). This will be expressed in non-violent conduct (non-judgemental, non-competitive, non-aggressive) towards ourselves and one another, being mindful about not consuming violent/aggressive media, and the recommended observation of a vegetarian diet. This creates a peaceful, supportive and safe atmosphere, both physically and mentally, which is conducive to real growth on our path. The overall goal is to cultivate a lasting attitude of peacefulness, compassion, gratitude and humility on our mat, and hopefully extending that attitude into life. For this training we will focus on the teachings and philosophies of the classical Indian Yoga system; providing a balanced foundation in the six branches of yoga, with Hatha Yoga as a base. For the duration of this training we ask that students allow themselves to fully immerse in this holistic and complete system, and create a very strong foundation free from external influences. This way you can be sure that the result of the training is from yoga and yoga alone. 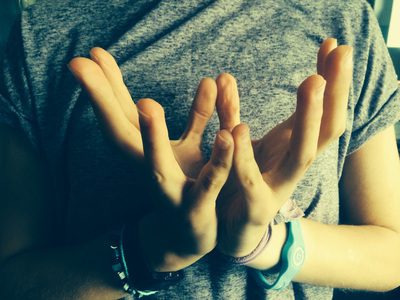 It will build great clarity and confidence in your yoga practice in its authentic form. You can pursue other teachings, mix, evolve and create any way you like in the future, but for the rest of your life you will have this solid foundation in authentic yoga. Refining the art of teaching yoga takes time and practice, and the best teachers are also the best students. We can't guide others through an experience we haven't been through ourselves; the most authentic teachers teach from their own direct experience. The real core of your teaching will be the direct experience you accumulate on your mat over time, going through your own inner process, and overcoming your own limitations. This experience will allow you to really put your own voice and perspective into whatever you are teaching, because it has meaning for you. Our goal is to help you learn, refine and practice the techniques and skills required in transmitting authentic yoga teachings, clearly, effectively, and humbly, through your own unique personality. As important as it is to focus on ourselves and on our own personal growth, it is a scientific fact that dissatisfaction in life has direct correlation to how much time we spend thinking about ourselves. While supporting individual health and evolution, this training will also support a conscious movement away from self-centred thinking patterns, towards self-less thinking patterns; a movement towards loving kindness to all. Taking part in Karma Yoga. 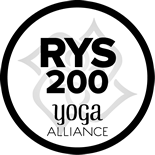 5% of Sacred Heart Yoga profits go directly to a local, Bali-based charity. Additionally, the group will have the option of spending an afternoon working with a local charity, giving back to Mother Bali. Bali and its people have offered a healing sanctuary for countless travellers and spiritual seekers; we are happy to be able to give a little bit back. The ability to reach beyond ourselves and offer into the world is the heart of Sacred Heart Yoga. When we feel connected with our fellow human beings, fellow creatures and the world, our natural instinct is to act in ways that uplift and support them, as they are now part of our extended family; our extended self. Kirtan is the practice of heart-centred group chanting with sacred and uplifting mantras. For many people, it is quite simply the quickest way from the head to the heart. It emanates uplifting vibrations throughout our entire being, clears energetic blockages, calms the mind and nervous system, deeply connects the group, and expands the heart centre in the most joyous and simple way possible: singing! Kirtan works on every level of our being, from the densest, most physical, to the subtlest, most intangible, and beyond. It allows us to deeply integrate the physical and intellectual aspects of the training with the emotional and spiritual realms of our being. We will practice Kirtan every day and sing our way to bliss! This training is designed to support the simultaneous development of all the mentioned aspects of our being. There is no pressure to adopt any philosophy or change our lives. This is simply an opportunity to go deeper into the personal development of the physical, mental, emotional, and spiritual aspects of yoga lifestyle and teaching; and for those willing, an opportunity to truly shed layers, transform old patterns and find inspiring new ways of being. We wish to cultivate a sincere and authentic community of dedicated practitioners, contributing to the most supportive environment for individual growth as possible. If you are interested in a “yoga vacation” or a “quick certificate” without actually investing effort, we invite you to consider another training, as you might find yourself out of alignment with the overarching group energy and themes of the training. However, if you are sincere about building a strong and thorough foundation in the holistic system of yoga, and have the desire to one day share the gift of authentic yoga teachings with others, we encourage you to join this once in a lifetime experience. Some students feel that they are not ready as they have the idea that they need to be able to do advanced Asana in order to take part in a teacher training. This could not be further from the truth. Greg has taught and studied with students with great physical limitations who have ended up becoming some of the most inspiring teachers. Our bodies will change throughout life; it is our Spirit, our attitude towards life that lasts. If your heart is in it, if you are humble and sincere about meeting yourself just as you are and going deeper on your yogic journey, then you are ready. You can expect your body to change; for some subtly and for others considerably, as you will be doing a full yoga practice plus posture clinics six days a week. It is normal for us to get aches, stiffness, fatigue, to release toxins, and to have fluctuating energy levels and moods. It is all part of the process. An attitude of Ahimsa (non-violence) towards ourselves is important. Make sure to give yourself the nourishment you need (Ei: massages, proper nutrition, tiger balm etc. Proper sleep, hydration, nutrition, and relaxation are key). Gently, Gently. One day at a time, and pace yourself while working at your edge. The rewards are priceless. Any transformative process of such intimate nature brings us face to face with aspects of our being that may have gone unobserved or even vanished from our awareness. Yoga, by its very nature, expands our awareness. We work with all the Koshas (layers) of the human being, from the grossest dense material layer, to the most subtle spiritual layers, and everything in between. This experiential process often challenges our comfort zones and awakens within us deeper unprocessed energies. Sometimes students find these emotional releases overwhelming and want to give up, returning to the safety of previous comforts and patterns. We understand and have great compassion for everyone undertaking this courageous journey inward, and remind you that at the deepest level, you are taking this training to make a shift in your life and to move away from those limiting energies and patterns that, although have been reliable companions throughout your life, are no longer serving you. Releases mean the practice is working and you are releasing old energies. We consistently find that moving through these experiences students discover a profound inner wisdom and vitality begins to emerge; a sense of intuitive knowing, clarity, and strength as we let go of the layers that have obstructed us from feeling our authentic selves. Our radiant, true nature shines through! The unique group energy that forms throughout the month is truly magical. It allows for an environment of safety, non-judgement and camaraderie that enables each individual to experience personal breakthroughs. We allow ourselves to be vulnerable, and through our shared vulnerability find a deep sense of connection and shared humanness….. This develops lifelong connections and true compassion. ​We invite all participants to be open and willing to surrender to this timeless process of self-discovery that so many have undertaken before, and that ultimately leads us to peace, harmony and contentment with our authentic selves. Above all know that although the course may challenge you with new experiences, you are fully supported and accepted wherever you are, and that wherever you are is perfect. Daily schedule six days per week, seventh day off after morning practice. This is a complete curriculum based on the standards set by Yoga Alliance. A dedicated practitioner, Murni is also dedicated humanitarian. Alongside the co-founders of The Yoga Barn & the BaliSpirit Festival, Murni plays an active role as a volunteer teacher for the outreach program AYO! Kita Bicara HIV/AIDS, an HIV education program aimed at Balinese Youth. Through "EduSpirit" workshops inclusive of journaling, role-playing, active meditations and yoga, this program encourages awareness, discussion & understanding about the HIV/AID epidemic in Bali. ​​Philosophically and experientially, professionally, and personally, Tanya has dedicated her adult life to exploring the nature of consciousness and liberation as it relates to the human experience in the times we are living. Her inspiration and therefore teaching is infused with the perennial teaching: live with presence and with love in our heart, that we may see the divine in all beings, in one self, in all moments; as this is both the means and the ends of Self Realization. Please Note: This is a NON-RESIDENTIAL training. Rates do not include flights, accommodation or food. Find some suggestions for booking accommodations on our FAQ Page. Bali has exploded in the world consciousness recently. With all the attention and foreign investment, the culture and beauty of this unique and precious island is slowly being lost. As the local people and Mother Earth give so much to visitors from around the world, it is our honor and privilege to be able to contribute something significant back to preserving them. We are in the process of updating our schedule, curriculum and faculty. Please refer to this section to stay up to date on YTT news!